By having the right power quality measurement tools at their facilities, utilities become successful in peak energy demand management, which helps them uncover hidden costs, extend equipment life, reduce unscheduled downtime, and improve system performance. Peak demand reflects the highest average power consumption levels of a utility’s billing cycle. Power utilities charge based on peak demand because they must maintain infrastructure (power plants and distributed generation assets, for example) large enough to supply power that meets the demand. Determine which demand intervals the utility uses (15 minutes is most common). Look for significant loads operating concurrently and use demand measurement to verify readings for the individual loads. Fluke Three-Phase Advanced Power Loggers, for example, give utilities the data they need to make critical power quality and energy decisions in real time. They’re capable of capturing and logging over 500 power quality parameters, while also allowing utilities to troubleshoot more advanced power quality issues. Thanks to detailed power quality data like viewable event waveform capture, utilities receive fast insight to overall electrical system health. Additionally, a user-friendly and intelligent measurement verification function allows utilities to reduce measurement errors by digitally verifying and correcting common connection errors, reducing measurement uncertainty. 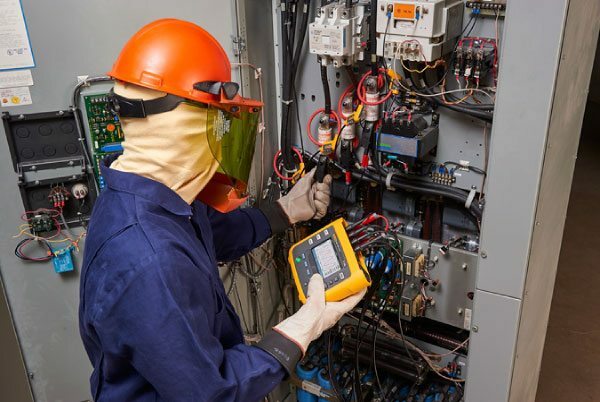 Another example of a great demand measurement tool is the Fluke Advanced Power Quality and Energy Analyzer, which is part of a product family that helps detail every power cycle. Each model is designed to meet the needs of the intended measurement task, with safety ratings that match a utility’s specific environment. Analyzing and reporting power quality data becomes efficient and easy. Plus, available accessories ensure safe and reliable hook-up and environmental protection guards against dust and moisture. Learn more about the Fluke Advanced Power Logger and Fluke Advanced Power Quality and Energy Analyzer.